Quick Gifts includes novel ideas for gifts for women, men, children and infants, including a set of sachets, a baby's sailor suit, a felted laptop case, a kitty toy, a lush cashmere hat and a necklace made of knitted beads. Knitters of all skill levels turn to the On the Go! Series for great new patterns by leading designers. Geared to crafters of all skill levels, this new installment fulfills expectations with a variety of fun designs. Start simple with a classic Felted Scarf or the colorful iPod Case, or broaden your horizons with the Baby Cardigan that showcases an irresistible argyle pattern. 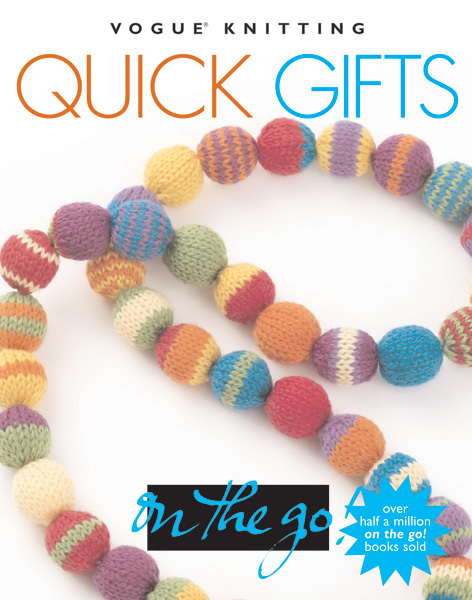 Using this book, knitters will create treasured gifts for friends and loved ones. What's more, they will be able to do it On the Go!